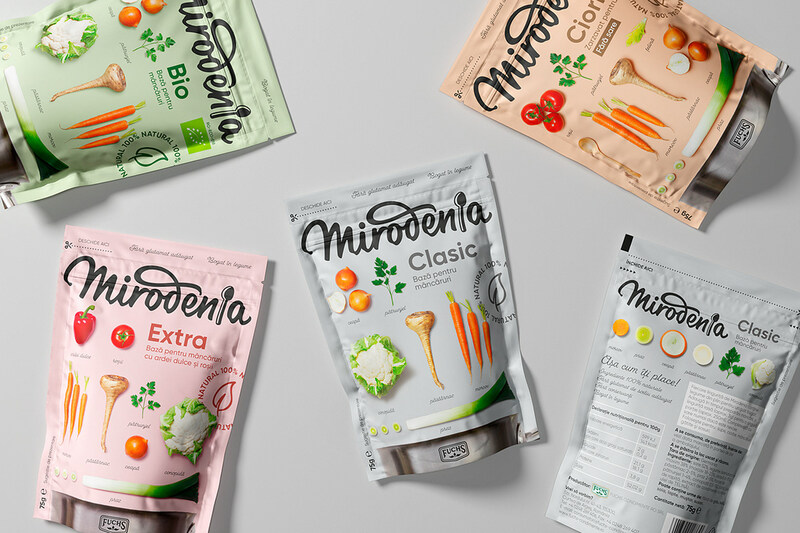 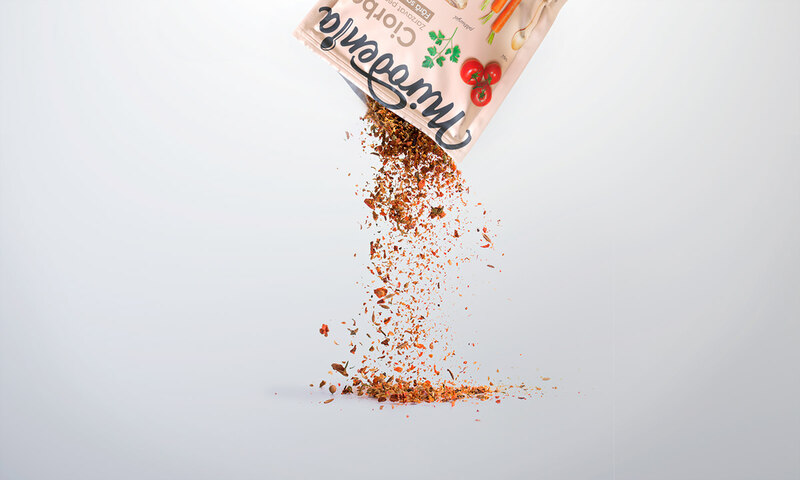 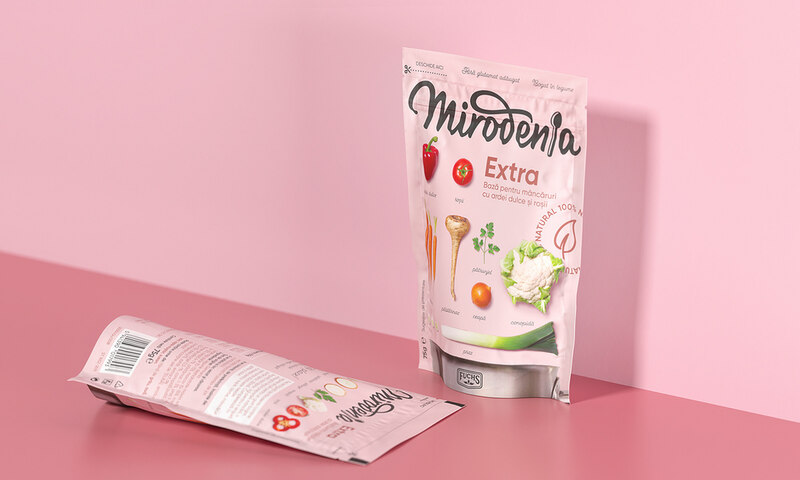 We created the new packaging design for Mirodenia natural seasoning, which contains dried vegetables. 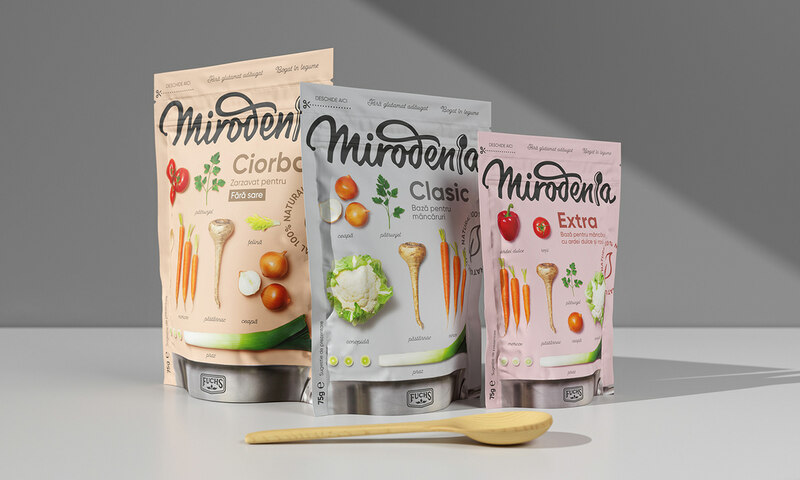 Mirodenia product range had to become more visible on the shelf, more feminine and different from competitors. 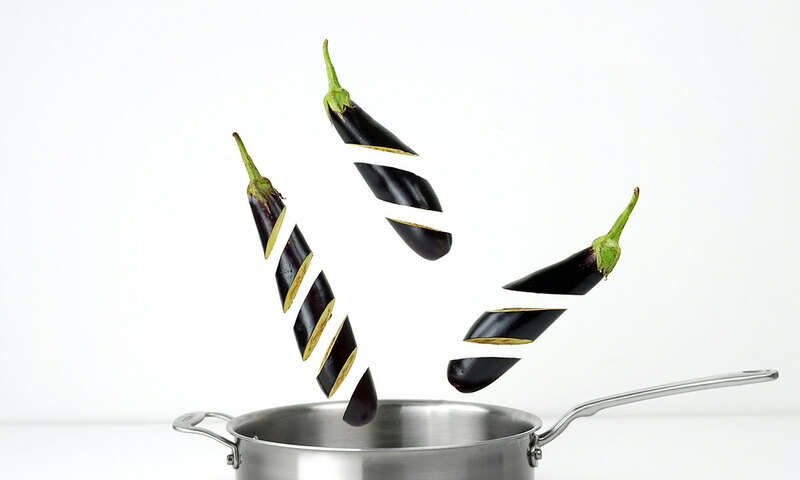 The target customers are modern, refined women who enjoy the process of cooking – from carefully selecting the ingredients to combining them and serving the finished dishes. 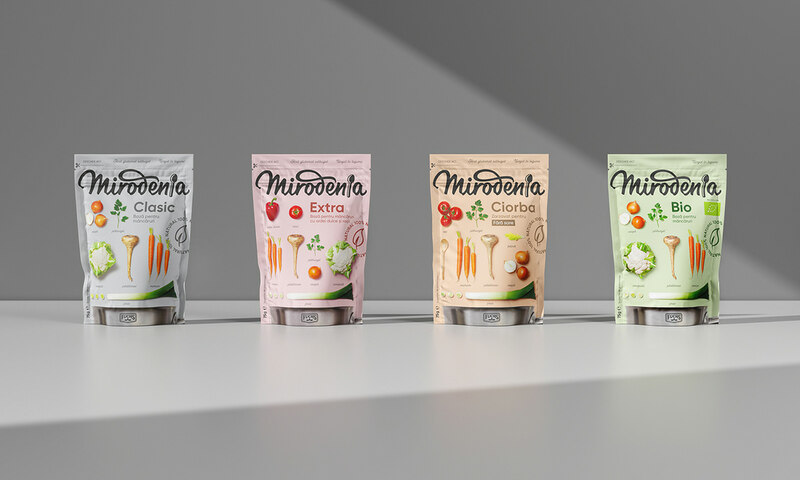 They are real gourmets who appreciate natural, genuine and organic beauty. 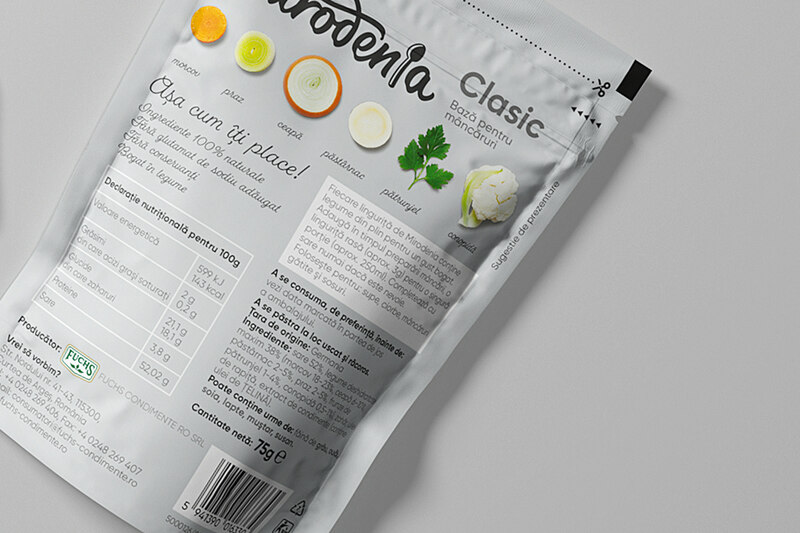 We inspired by the process of placing all the ingredients side by side before cooking. 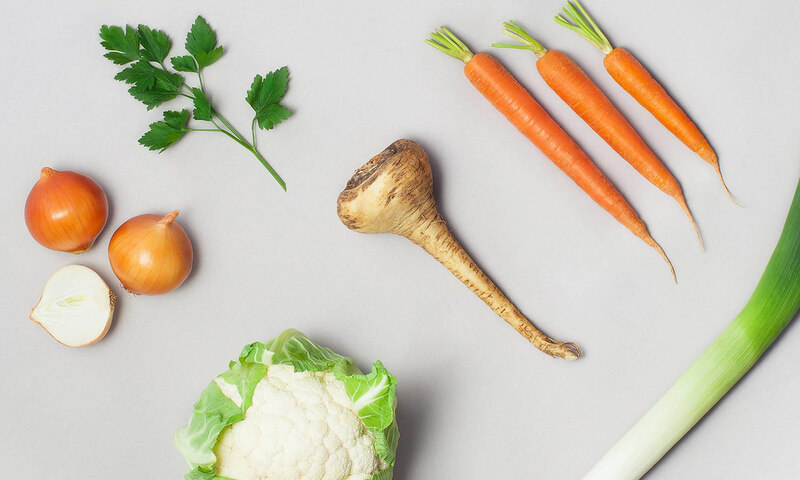 It's like a camera shot from real life: all these vegetables together about to become an enjoyable dinner. 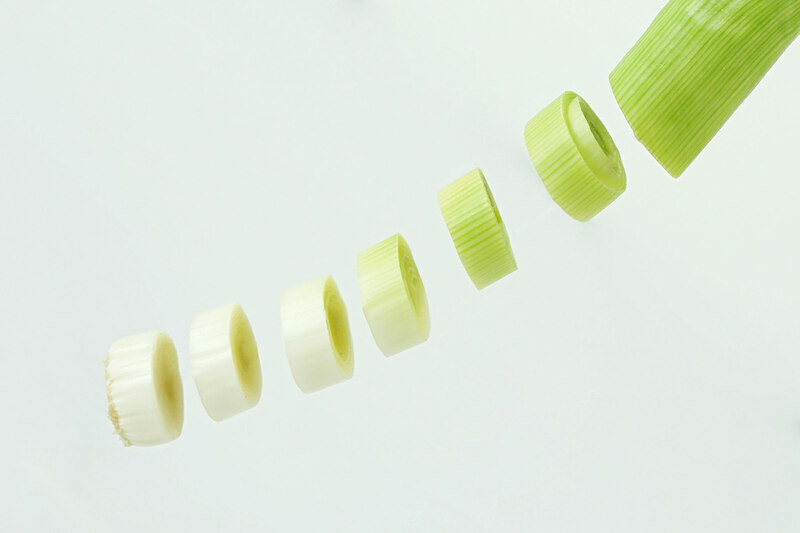 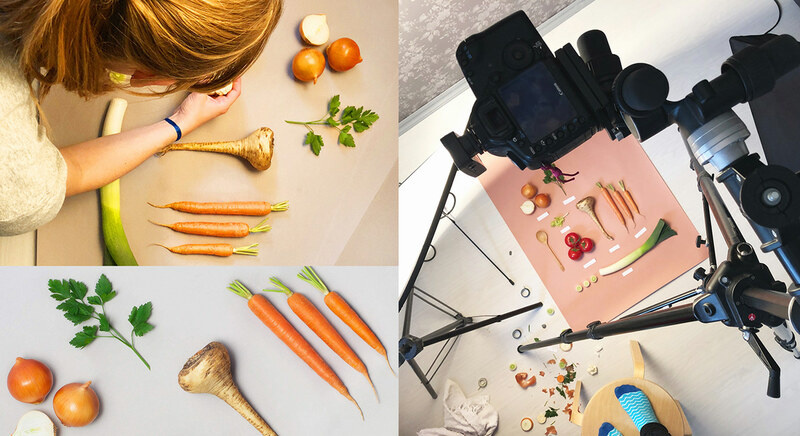 We carefully selected the best vegetables and arranged them using “knolling” technique. 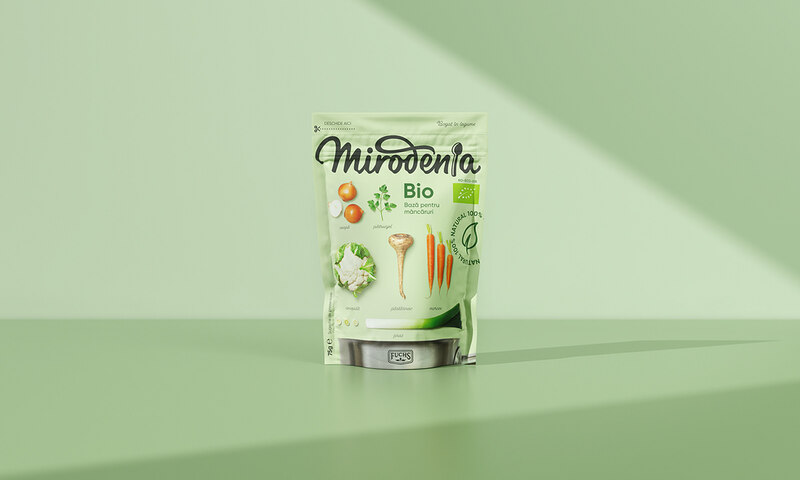 Natural vegetable compositions comprising the central part of the package. 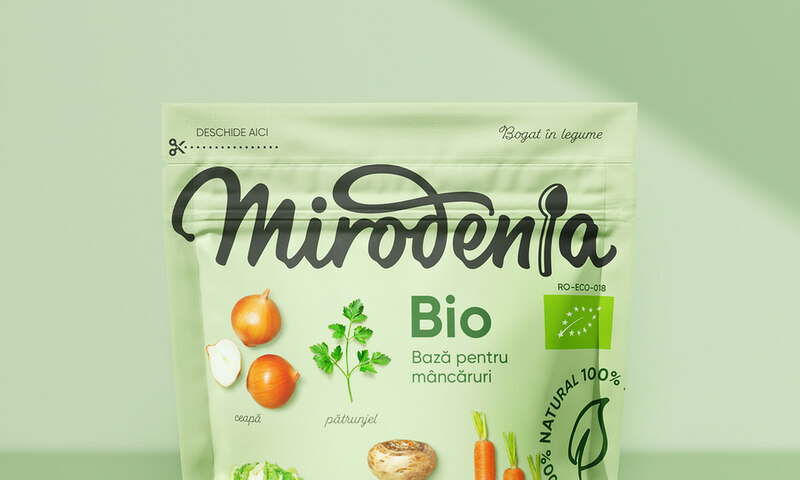 The Mirodenia logo is made in a handmade manner to highlight the brand's naturalness and sophistication.